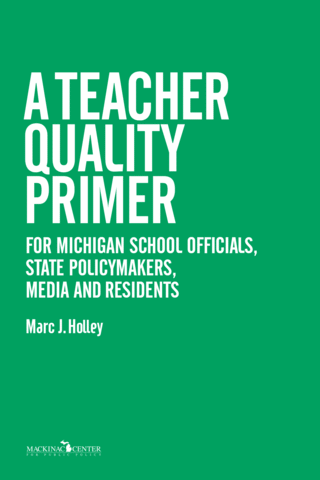 As with other factors that affect teacher quality, considerable attention has recently been given to the role of traditional teacher preparation programs in improving the teacher work force. This book has touched on this subject only briefly partly because such a line of inquiry demands considerable independent treatment and partly because it lies outside the realm controlled by policymakers within the primary and secondary public school system. Nevertheless, meaningful improvements to teacher preparation might result from rating teacher preparation programs based on the performance of their graduates as teachers in the classroom. If the state kept a database of student performance gains of individual teachers, researchers could determine the general effectiveness of teachers who graduate from the state’s various teacher preparation programs. Publicizing such findings would enable teaching candidates to make informed decisions about the programs they choose and help principals make better-informed decisions about which graduates to hire. Finally, such ratings would also encourage less effective programs to improve by modifying their existing practices.